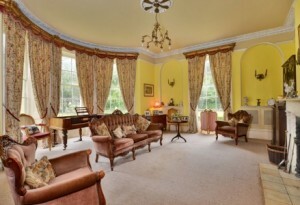 “7 bedroom House for sale in Lutterworth 950000£……..Approached via a private gated driveway, this magnificent Georgian hall benefits from an abundance of period features. Claybrooke Hall is a magnificent Grade II listed hall and offers the opportunity to reside in a truly unique historic home, with the benefit of a central village location and an ample plot … Claybrooke Hall was where my Grandmother Sarah Jane Sleath worked prior to her marriage to John Thomas Perkins in 1901. The pictures showing the interior are wonderful….and I could see the Parlor where my grandmother worked as a Parlor Maid and the kitchen where her friend worked as a cook. Bet these rooms didn’t look like that back in 1901. 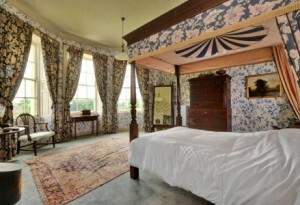 And look at the gorgeous bedroom….a few too many flowers but all that could be changed. Now 114 years since my Grandmother worked there, this Old Hall is once again up for sale. I would wager it has many stories to tell about the occupants, if only it could talk. Well it can’t, but perhaps I could fill in the few details I have discovered about the place. Claybrooke Hall was built in 1718 by Thomas Byrd, a local landowner and Justice of the Peace and in 1765 it was sold to Cluer Dicey as a “gentleman’s house”. The conveyance of Claybrooke Hall and lands from George Byrd to Cluer Dicey is dated 11 Oct 1767…(From Humphry’s Family Tree Page). When he died in 1775, his will described him as of “Little Claybrooke in the county of Leicester, Esq.” He also had two farms in Little Claybrooke and property in Stoke Newington, London. “A George Fitzwilliam Hodgson also lived at Claybrooke Hall. He was a Lieutenant in the Queen’s regiment of Foot. He died Feb 1799 aged 45. He married his wife Sarah Brotherton in Boston Lincolnshire in 1787 and had a number of children both there and at the Hall. A son Thomas Brotherton Hodgson born 12 Feb 1794 and christened at St. Peter’s Claybrooke Parva died in East Indies 1816 aged 22. I’ve not found anything on him & why he was in East Indies. Family tablet is in East wall of South aisle, the Lady Chapel, in church. 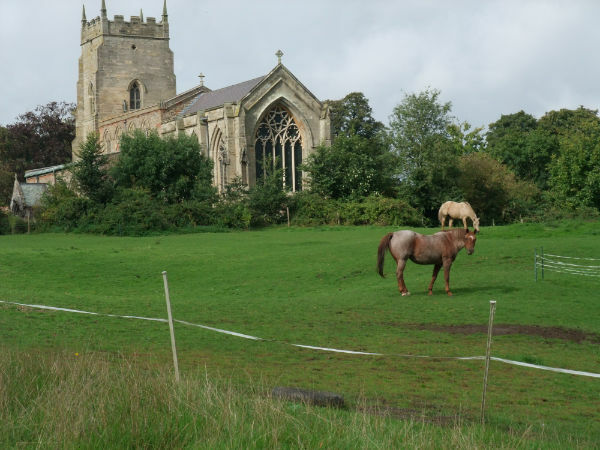 St Mary’s Church in Withern Lincolnshire has a number of monuments to the Fitzwilliam and Hodgson families. Information provided by Nicholas Jenkins….August 2015…. On the 1861 Census, Mary Douglas, wife of H. Sholto Douglas, captain in Her Majesty’s 42nd Regimen and their 8 children were living in the Hall. 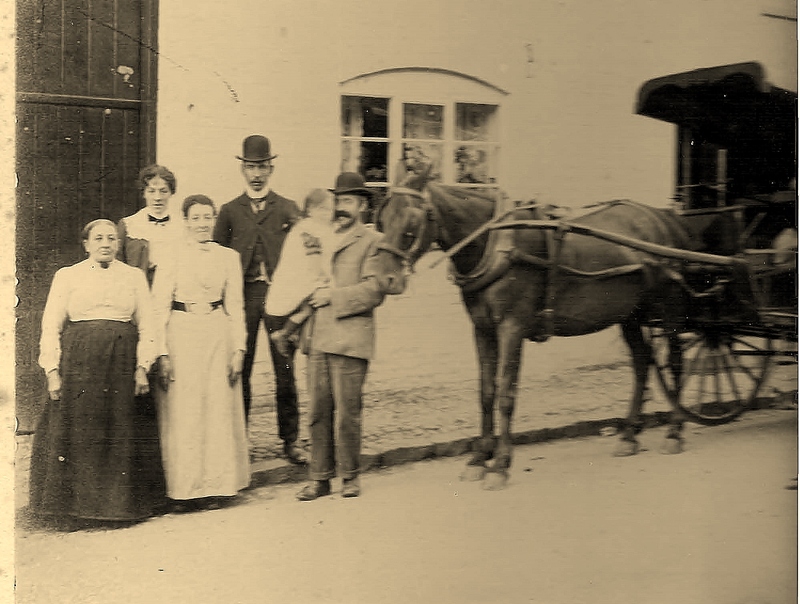 The Captain was away on Military duties, however he obviously returned home frequently as he had 6 children born at the Hall between 1854 and 1859. At this time a number of Domestic Servants were required to keep things running….Butler, Groom, Cook, Kitchen Maid, Parlor Maid and 3 Nurses to care for all the young children. On the 1881 Census, Mary Emily Simpson formerly of Oswaldkirk, Yorkshire and her sisters Emma and Louisa had taken over the hall. Mary had worked with her father , the Reverend Francis Simpson, to improve the lot of the farm lads of Boynton and Carnaby. She gave us an account of her labours in a book, “Ploughing and Sowing: or the Annals of an Evening School in a Yorkshire Village and the work that grew out of it- By a Clergyman’s Daughter”. 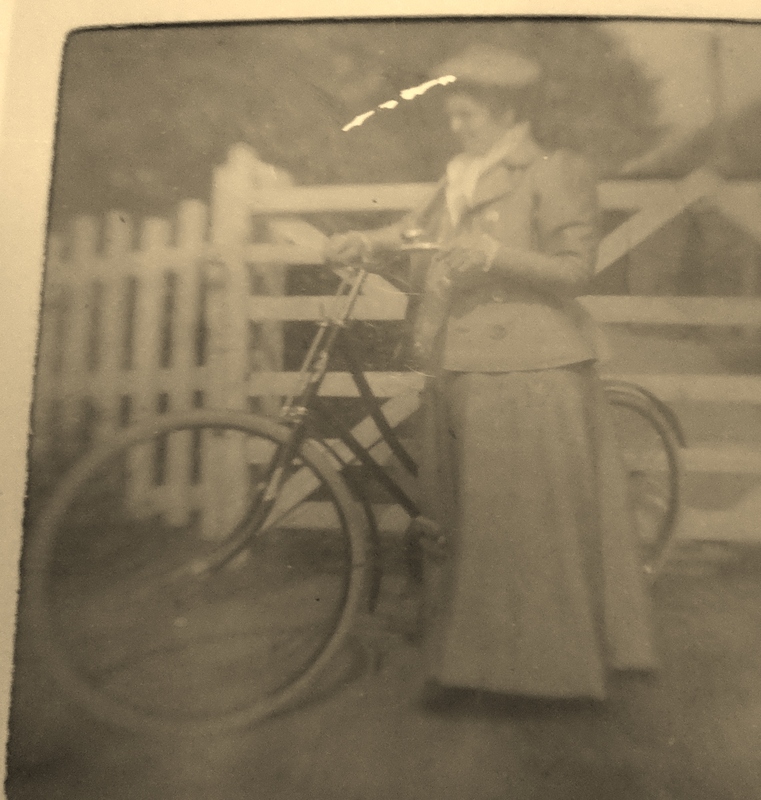 According to her Obituary, she carried on her charitable work once she moved to Claybrooke Hall where she opened a Convalescent Home in connection with the Leicester Infirmary. Her twin sister Emma, who was ill at the time of Mary’s death, died not long after. At this time, the Hall had 4 general Female Domestic Servants and a Cook. Louisa, the remaining sister continued to live in the Hall, and on the 1891 Census only the Housekeeper, Sarah Robinson and the Parlor Maid Bessie Tyres were listed. It is likely that Louisa was away visiting friends when the census took place. My Grandmother Sarah Jane Sleath had taken up the position of Parlor Maid, by the time the 1901 Census was taken. 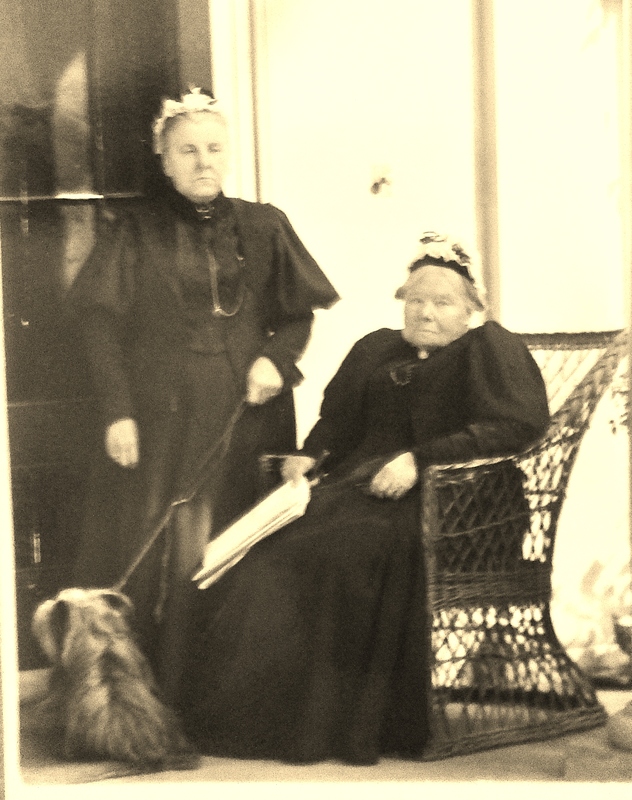 Louisa had a companion Charlotte Hillyer and a full staff in residence. These included Bessie Tyres, now the nurse attendant, Sarah Haywood, a housemaid, Ethel Crisp, a kitchen maid, Janet Taylor, a nurse and Hetty Williams, the cook. In the late 19th Century, British families were in the world of “Upstairs Downstairs”. Each family either had a member that was in service or the household included at least one maid. By the end of the Victorian era, likely one third of all women had been a domestic worker at some point in their lives. In 1881, there were over 1.2 million females in Domestic Service and at least 50% were under the age of 20. Interesting to note that when my Grandmother was at the Hall, the younger Housemaid and Kitchen Maid were from the local area, whereas the nurse, nurse attendant and the parlor maid were from neighbouring counties. It would be interesting to discover how they came to be employed at the Hall. Had they responded to an advertisement, attended a Hiring Fair or heard of the vacancy from a friend or other relative? Claybrooke Hall was no Downton Abbey, but likely the same things occurred just on a smaller scale. These young women may have been kept busy with all the household chores, but they must have had the odd day off…how else were they to meet prospective husbands. Sarah Jane may have met John Thomas Perkins, the village Blacksmith, when he came to the Hall to carry out some work. Tradespeople and craftsmen would have used the back door and it would have been answered by one of the maids who would have supervised them in their duties. The following is an extract from correspondence between myself and a resident of Claybrooke Parva today. It provides some light on the duties of a Blacksmith. Mr. Jenkins wrote “My home has a stable block that was erected in 1891 and the ironwork was made by J Perkins of Claybrooke Magna – see attached photo & note that the village had no ‘e’ on end. The number 1 under the crown indicates the quality of the iron as there were different qualities used for things like hinges to pots & pans etc. 1 is the lowest quality. I have a sheet on this somewhere but can’t find it. It would seem that this would have been John Perkins. I have not studied the family tree but your photo would seem to be early 20th Century. This would make me think that the John Thomas shown would probably be son of the John who died in 1896. The Tom Perkins I knew – but only in passing – did tell me a bit of history when I showed him our stable block iron work. Fanny Haywood Cook, (black belt) Sarah Haywood Maid (back row) with their husbands and mother Emma. Fanny Haywood, a friend of Sarah Jane, must have gone to Claybrooke Hall just after the 1891 census. 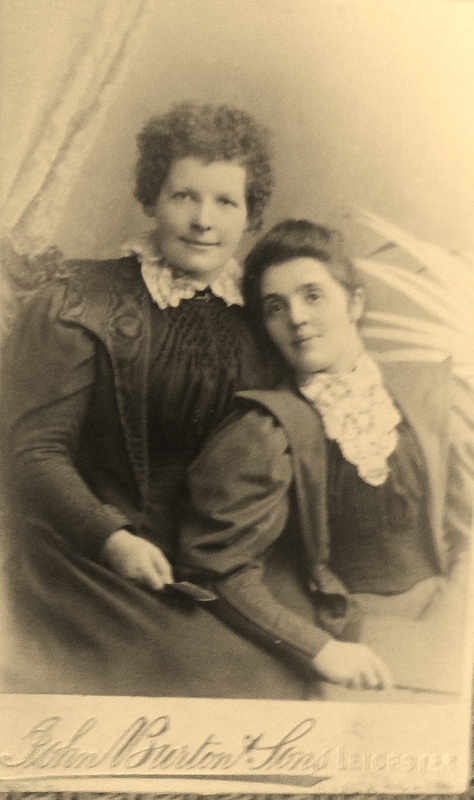 Her descendant Ann who now lives in Wales, has several books inscribed by her dated that year (1891) when she was still at Great Longstone, Derbyshire as Cook for Captain Legge the Chief Constable of Derbyshire. 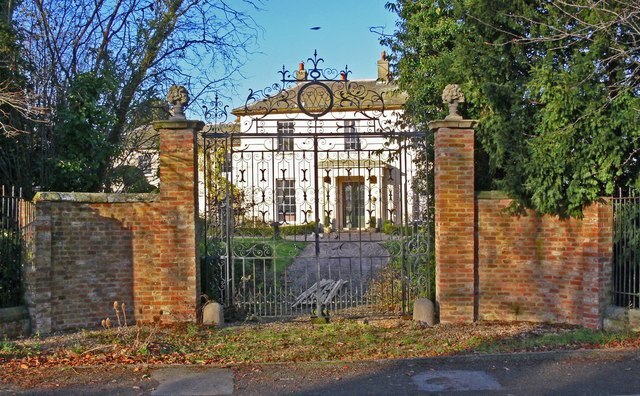 She wrote “Fanny downgraded going to Claybrooke to be nearer home when her mother became ill and after Fanny married, her mother lived permanently at Ullesthorpe”. 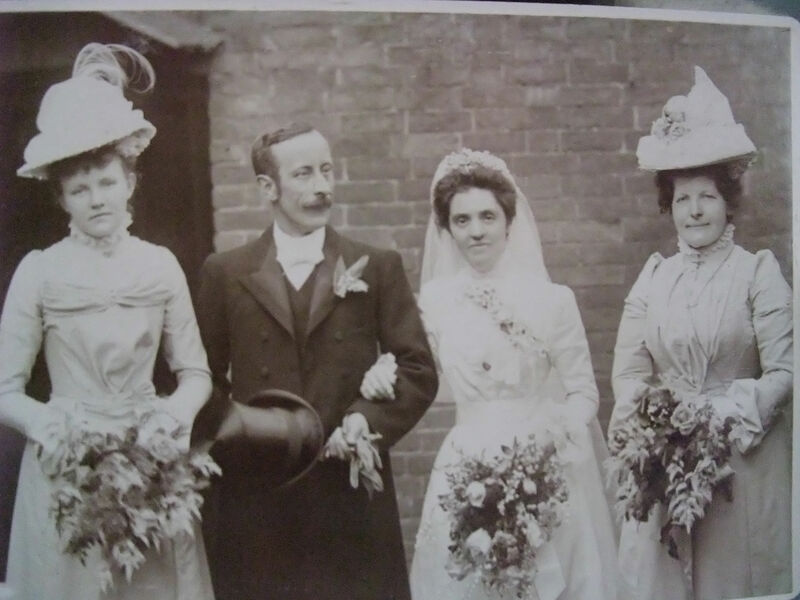 Nellie Benford, niece of John Thomas Perkins, Sarah Jane Sleath, Bessie Tyres on Wedding Day May 5, 1901. Sarah Jane left the Hall when she married John Thomas Perkins at St. Peter’s Church on May 5, 1901. That was, as I said earlier, 114 years ago. The hall has had other residents since then, but as yet I haven’t done any research to determine who they were. If anyone has information, I would be delighted to hear from you and add your story to mine. I also hope that the information in my Blog is correct, but if anyone notes errors, again, please let me know so the story can be amended. Also a reminder to those doing their own family history, also fully check the Census to see who lives with or near by to your ancestor. Often relatives live nearby or a widowed parent moves in with a married daughter or a relative isn’t where you think they should be but may be listed as a Visitor at another relatives place. Often over time, you find young people marrying others who live down the road. It is amazing who you are able to locate in the manner. I did research for someone and it turned out that the ancestors they were looking for had once been neighbours. She was the daughter of the grocer and he was the married man living next door with his wife and family and for whom she did housework. Turns out she became pregnant, he left his family and they emigrated to Canada from England where they established a complete new family. Lost all contact with their English families! 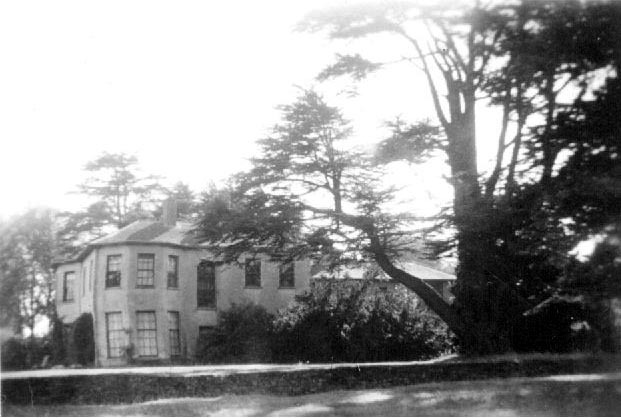 A George Fitzwilliam Hodgson also lived at Claybrooke Hall. He died Feb 1799 aged 45. He & wife Sarah(?) had a number of children at the Hall. A son Thomas Bretherton Hodgson born 1794 died in East Indies 1816 aged 22. I’ve not found anything on him & why he was in East Indies. Family tablet is in East wall of South aisle, the Lady Chapel, in church. “A George Fitzwilliam Hodgson also lived at Claybrooke Hall. He was a Lieutenant in the Queen’s regiment of Foot. He died Feb 1799 aged 45. He married his wife Sarah Brotherton in Boston Lincolnshire in 1787 and had a number of children both there and at the Hall. A son Thomas Bretherton Hodgson born 12 Feb 1794 and christened at St. Peter’s Claybrooke Parva died in East Indies 1816 aged 22. I’ve not found anything on him & why he was in East Indies. Family tablet is in East wall of South aisle, the Lady Chapel, in church. St Mary’s Church in Withern Lincolnshire also has a number of monuments to the Fitzwilliam and Hodgson families. Information provided by Nicholas Jenkins….August 2015…. Hi, I lived in this house for a few years in the 1980s. My grandparents owned it from about 1971 to 1994 when my grandfather died and it was subsequently boarded up. At that point it was in a very poor state of repair. 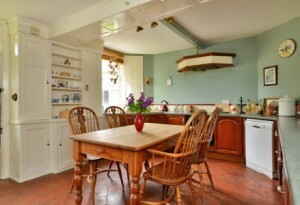 A couple of things to note: The room pictured with the modern kitchen units in it was not a kitchen until the 2000s. It was originally the breakfast room. The kitchen is far larger and likely still has the bell box for calling the servants mounted above the door. Also the gate and driveway pictured are a modern feature, which is why it’s not in use (it’s not a legal access road). The original driveway would have been around 30 yards to the left and is now the entrance to the “Claybrooke Court” development which lies where the original kitchen garden and stables used to be.